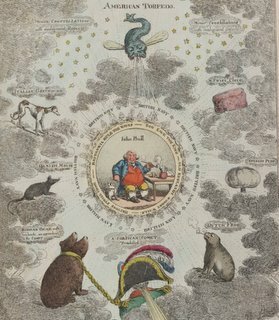 "[Arbuthnot] was a man of great comprehension, skilful in his profession, versed in the sciences, acquainted with ancient literature, and able to animate his mass of knowledge by a bright and active imagination; a scholar with great brilliancy of wit; a wit, who, in the crowd of life, retained and discovered a noble ardour of religious zeal." Samuel Johnson. John Arbuthnot (1667-1735) made significant, if often indirect, contributions to British literary and intellectual development. His background is somewhat hazy, not the least reason being his own disinterest in keeping and maintaining his papers which he allowed his children to play with and burn. So he may have earned a university degree while still in his native Scotland, but his penchant for mathematics came to the fore with his publishing the first work on probability in Britain - Of The Laws of Chance - 1692. After moving to London and meeting the likes of Pepys, Newton, Swift and Pope, Arbuthnot applied for a degree and was uncannily made a physician on that same day by defending a number of medical treatises. 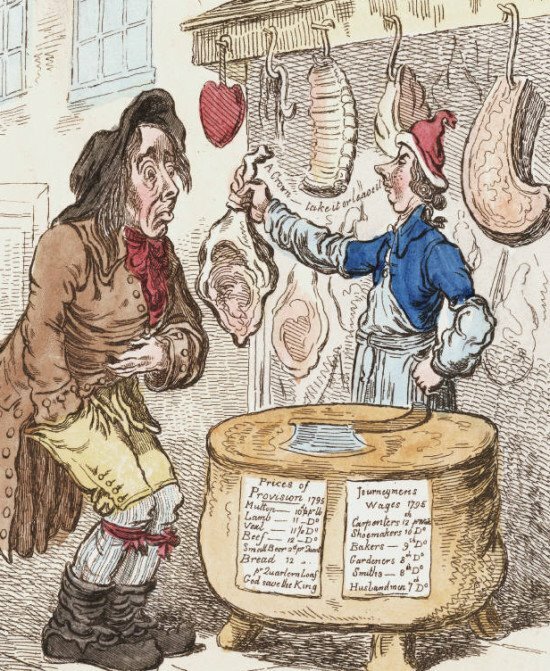 He would publish papers on epidemiology and the effects of diet and good ventilation on disease. He was a member of the Royal College of Physicians, overseeing an improvement in drug dispensing quality, a founding member of the Royal Academy of Music (and UK manager of Handel's operas) and a member of the Royal Society. His antiquarian interests manifested in mulitiple publications on comparative weights and measures. He was also the Queen's physician for a time. But it is perhaps within the backroom of literary society that the lasting effects of this gentle polymath were forged. Arbuthnot was a legendary wit and convener of the Scriblerus club, a short lived round table for the literati, who mocked pedantry and the abuses of learning. Swift and Pope both obtained direct help or inspiration for their own publications (as did others, by all accounts) from the Arbuthnot brains trust. 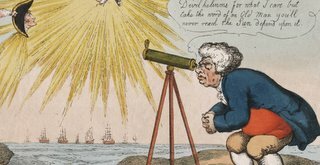 Although Arbuthnot had a family background steeped in political enthusiasm, it was no doubt that the learned company he kept elevated his interest in politics. John Bull Making Observations on the Comet. 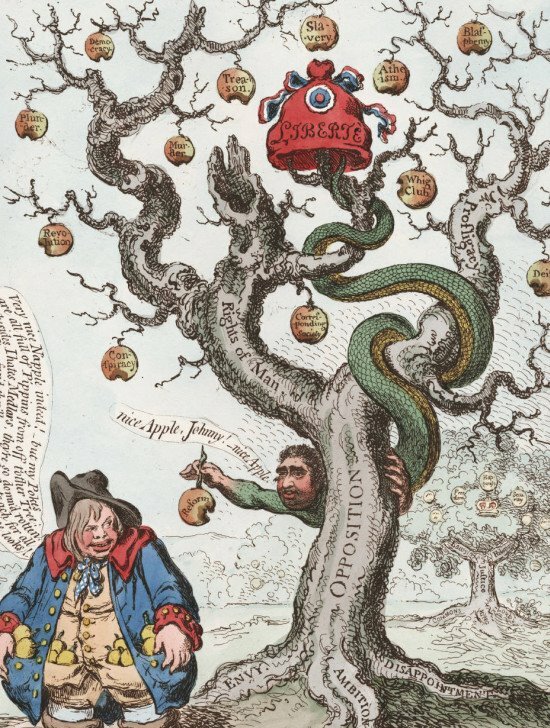 So it was that Arbuthnot's wit and political awareness combined in some of his satirical publications. In 1712 he brought out a pamphlet that was essentially a call for support of the government's position on the Spanish war of succession. But it was a complete mockery of the powers involved, including the personification of Britain England in the figure of John Bull. 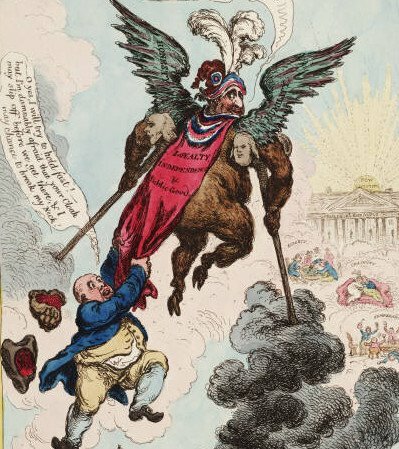 The portly commoner, gently nationalistic with a homespun common sense and poor taste in fashion often accompanied by a bulldog, came to be a formidable character in the public conciousness and a particular favourite of the renowned caricaturists James Gillray, Thomas Rowlandson and George Cruikshank.